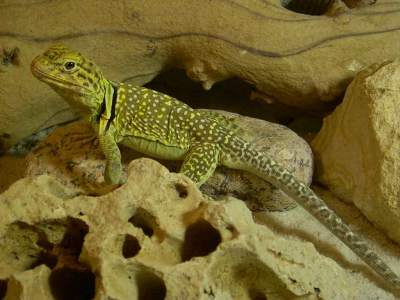 This picture is of a captive male Crotaphytus collaris submitted by P.J. 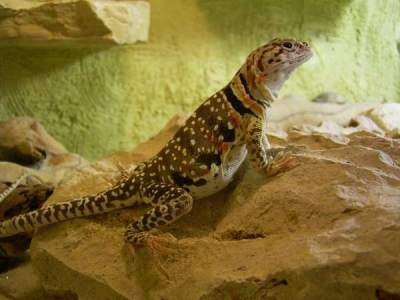 Bloemberg, webmaster of the Dutch collared lizard site (click here for a poor translation via BabelFish--it uses German-to-English; there is no Dutch-to-English feature! ), and used with permission. This is a female C. collaris from Mexico, also submitted by Mr. Bloemberg.